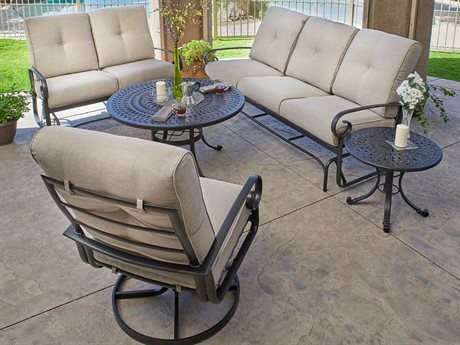 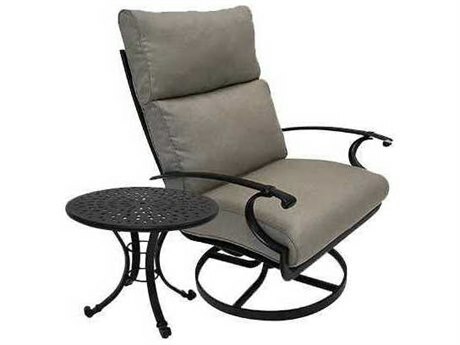 At PatioLiving, we have a large inventory of residential and commercial patio conversation sets that are comfortable, durable, and made from the highest quality materials. 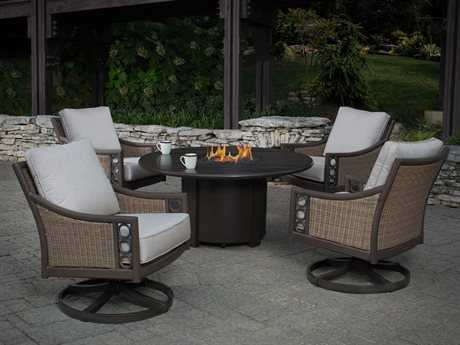 Get the most out of your outdoor space with a fire pit patio set, perfect for chilly summer evenings or winter afternoons. 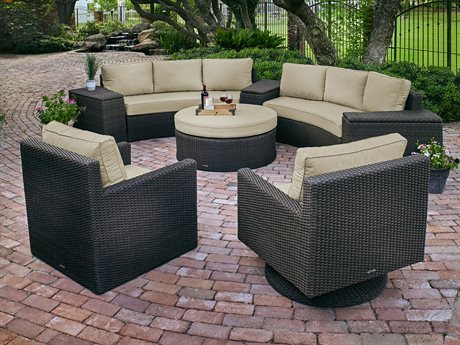 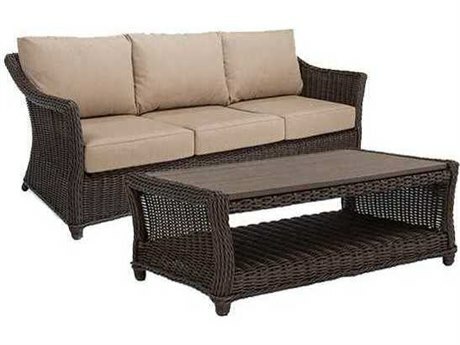 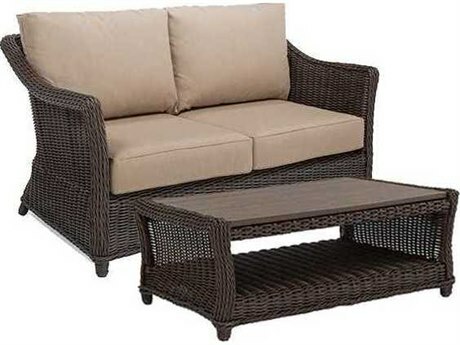 Whether you are entertaining company or just enjoying the comfort of your own home, an outdoor conversation set makes a wonderful addition to any home. 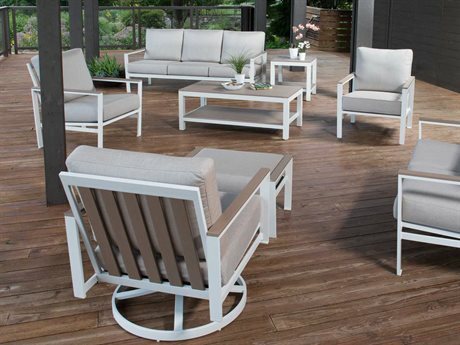 We are proud to say that we are affiliated with more than 40 different brands that create some of the world’s best casual living furniture to bring you the ultimate lounge experience. 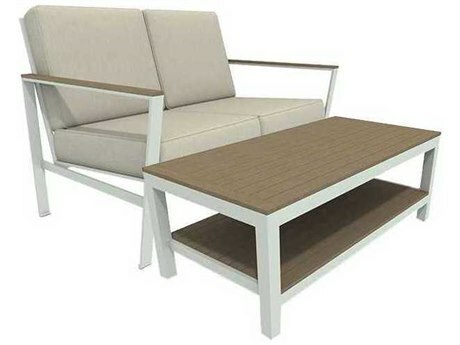 Ranging from traditional to modern, there are plenty of options available that suit your style and taste. 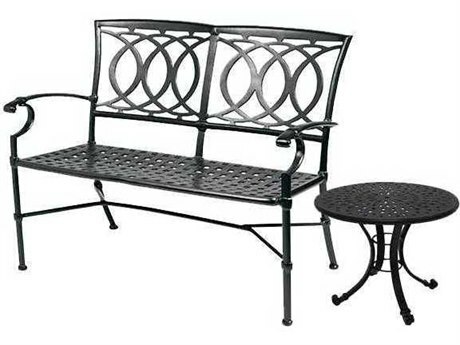 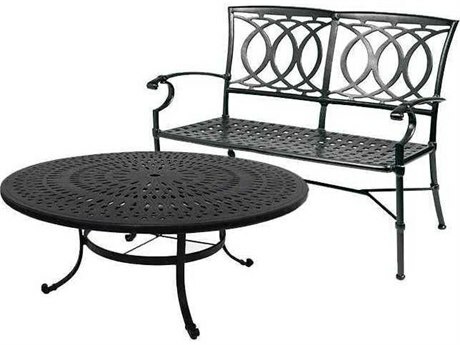 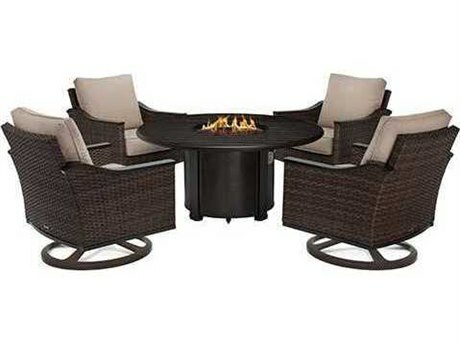 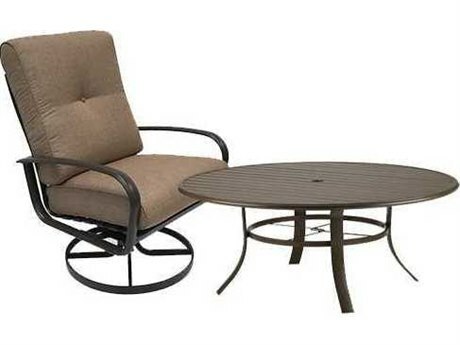 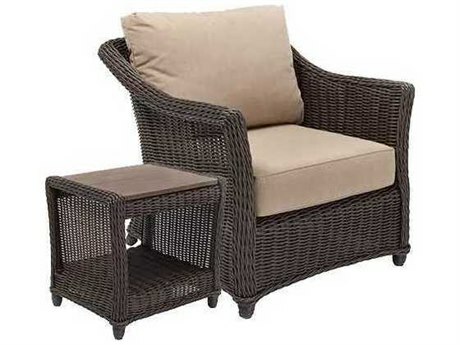 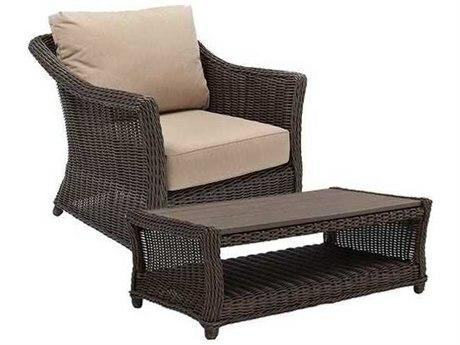 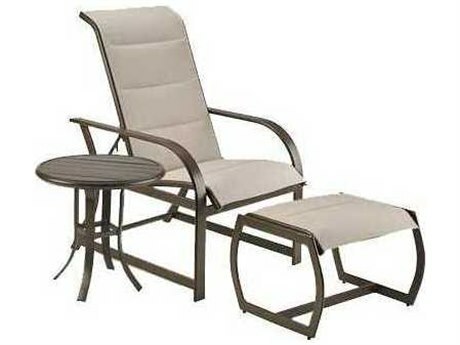 The patio conversation sets we carry are made from materials that feature, aluminum, wicker, steel, wrought iron, teak, wood, resin, and our newest addition, recycled plastic. 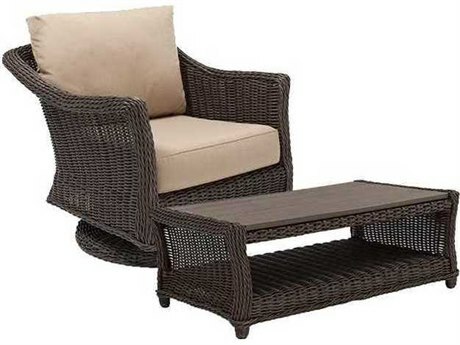 Styles include casual and modern. 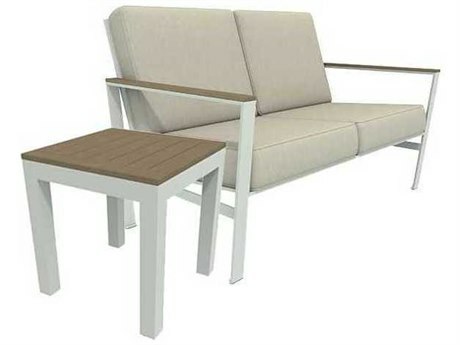 Our seating options are also versatile: sling, cushion, and recycled plastic being the most popular, and are available to accompany one to eight persons depending on the set. 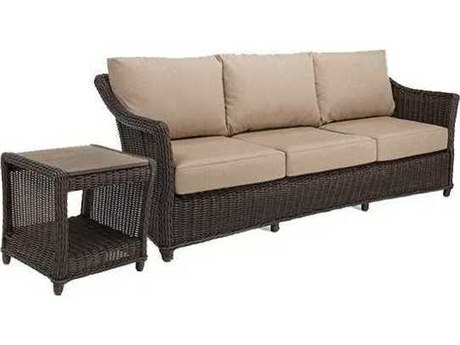 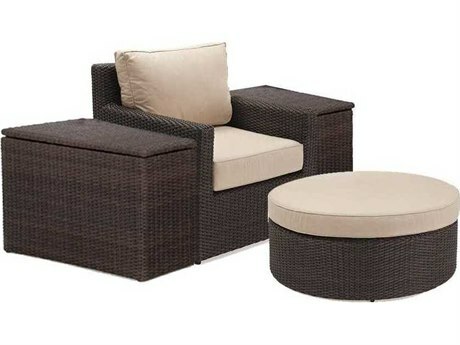 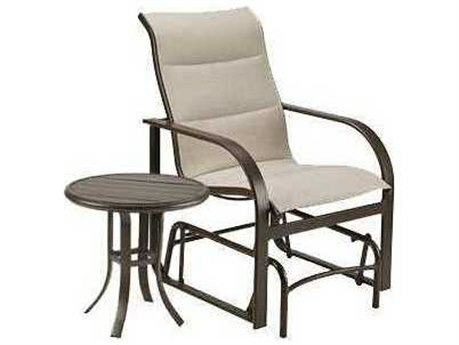 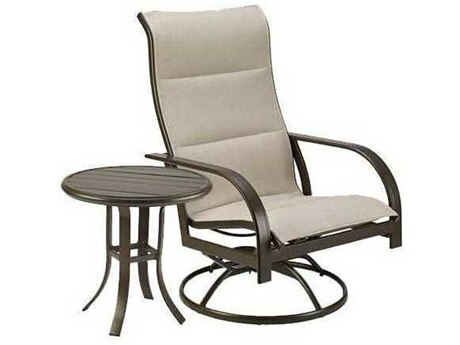 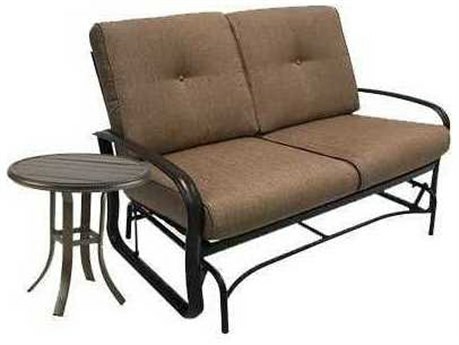 There are many benefits of having a patio conversation set that will give you the most out of your outdoor experience. 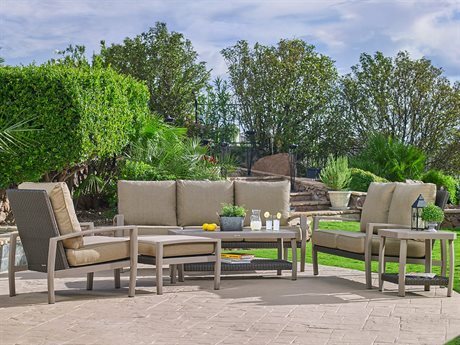 Natural colors blend tastefully with a serene background and complement the nature in your yard, while guests immediately feel welcomed by the lavish and pleasant environment that your patio scene creates. 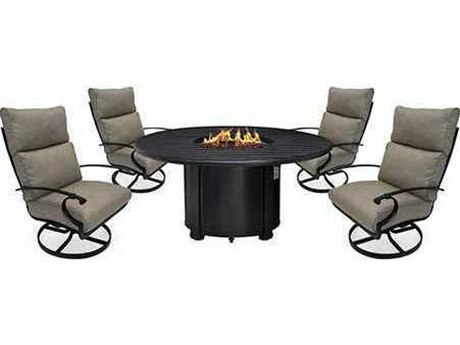 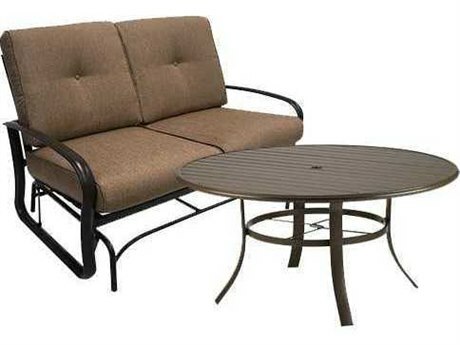 Whether you choose a patio set with a fire pit or not, the warm ambiance is sure to make anyone feel at home. 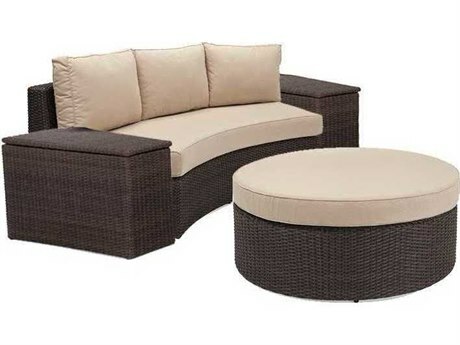 Rich visual appeal and a carefully structured anatomy will give your outdoor conversation set a presence of quality and serenity that is both soothing and inspirational. 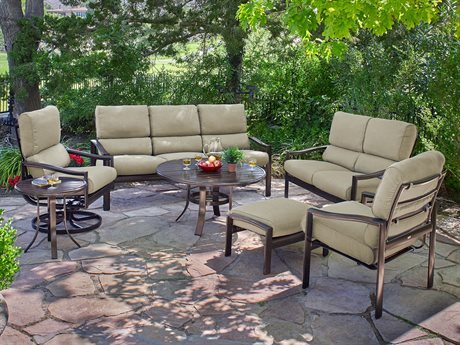 The fabrics and materials we use are top quality and weather proof, so you can be confident with your purchase for years to come and immerse yourself in those priceless moments. 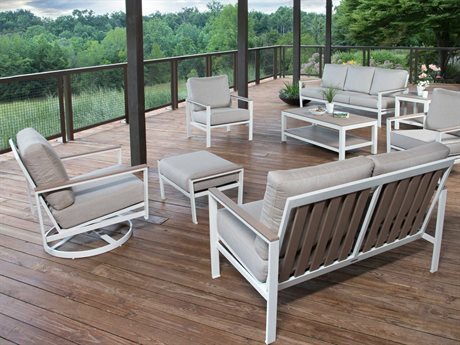 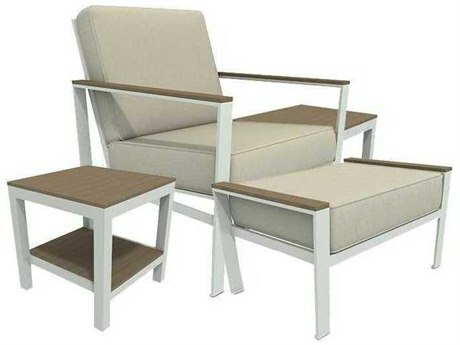 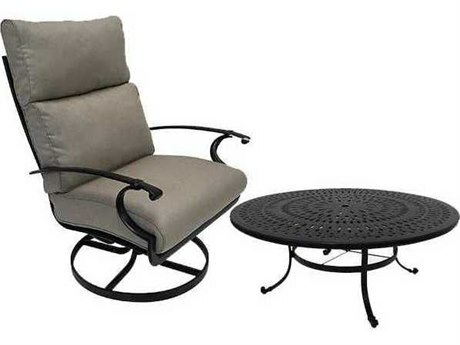 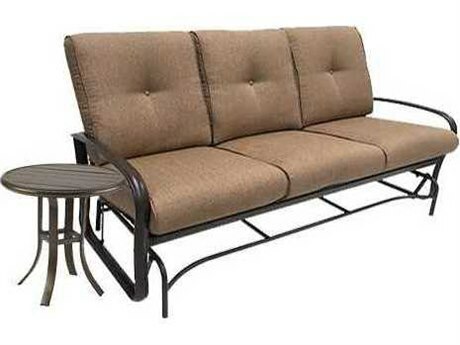 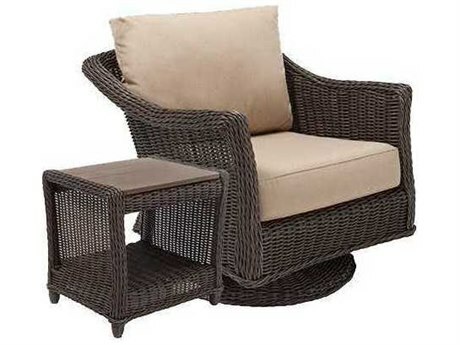 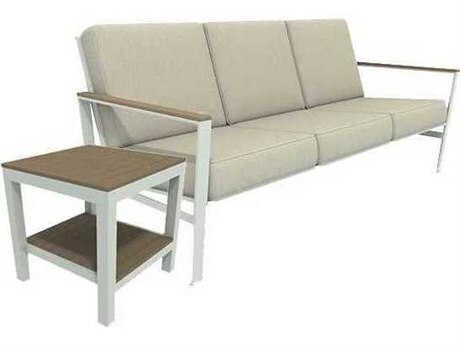 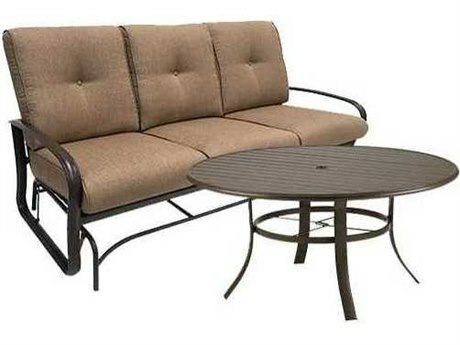 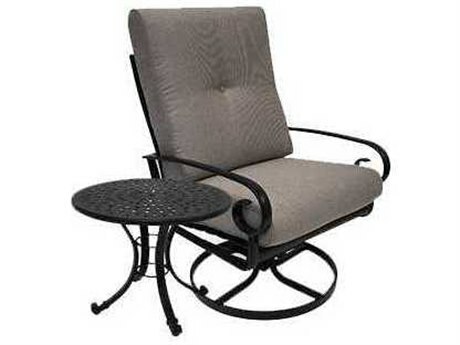 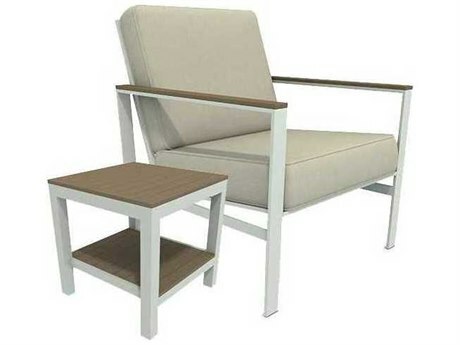 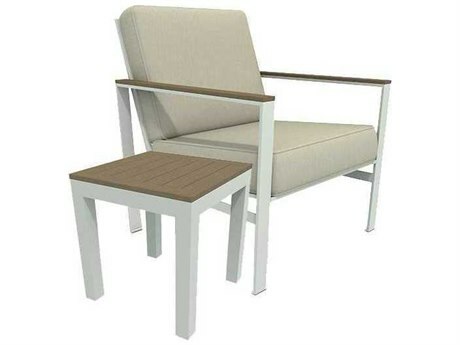 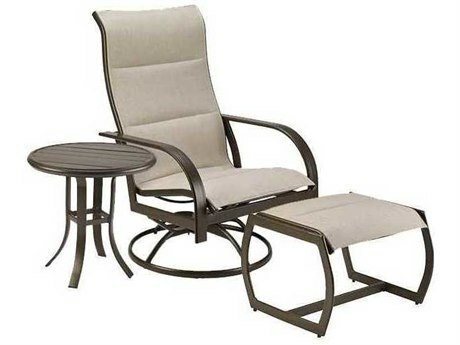 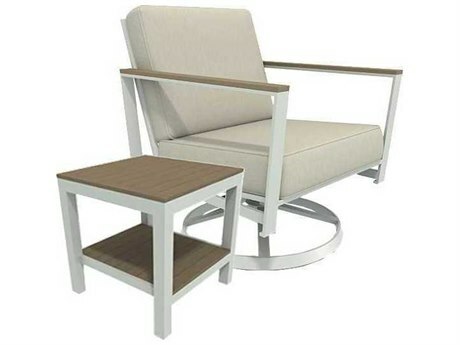 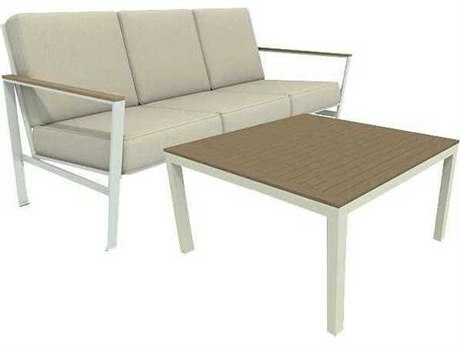 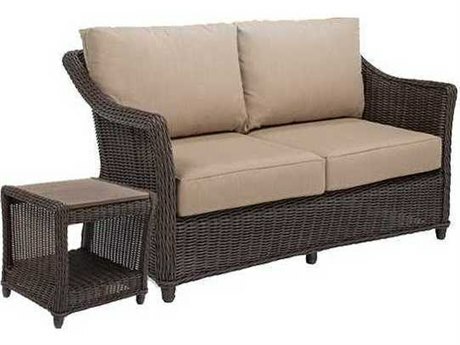 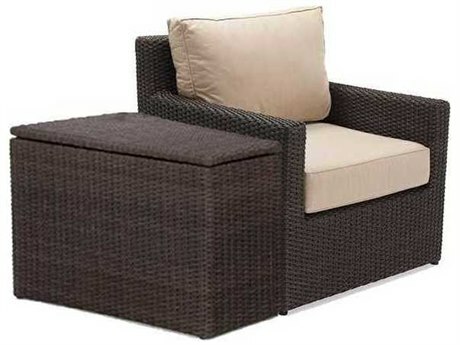 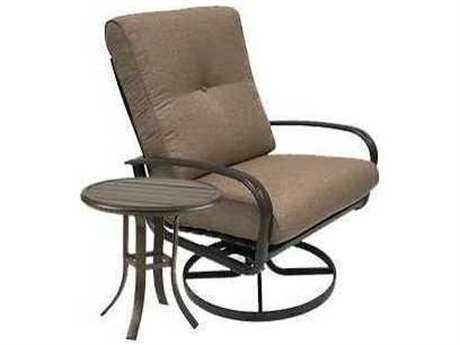 For more information on the materials used to construct our patio conversation sets, as well as the other patio furniture on our site, you can read PatioLiving’s Outdoor Materials Buying Guide. 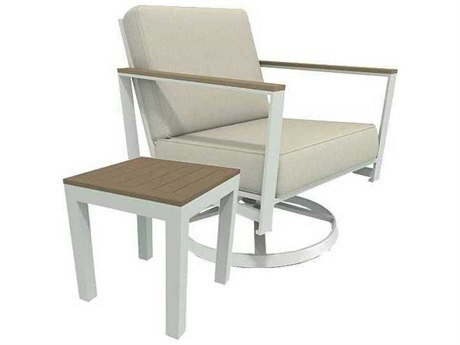 For more style inspiration, feel free to browse our Style Studio and Design Ideas pages!